UPTON, N.Y. (AP) — New York to Chicago, in five weeks? 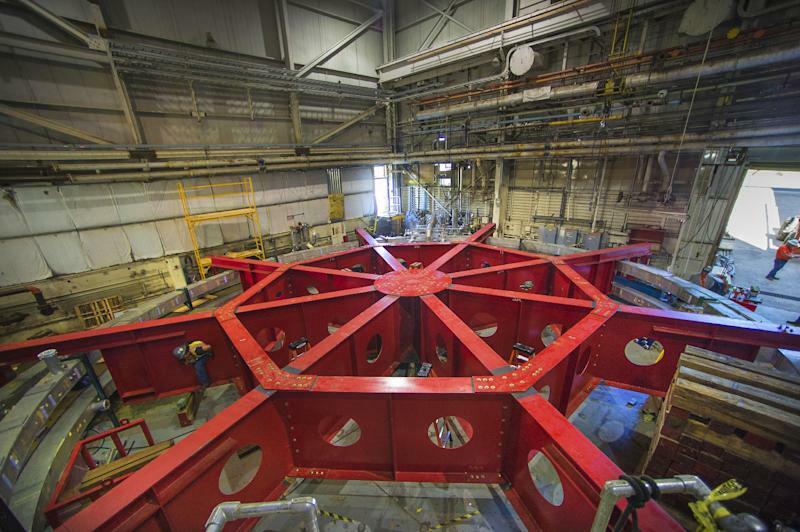 Scientists on Long Island are preparing to move a 50-foot-wide electromagnet 3,200 miles over land and sea to its new home at the U.S. Department of Energy's Fermi National Accelerator Laboratory in Illinois. The trip is expected to take more than a month. "When we first started thinking about this, we all thought it wouldn't be possible," said Bill Morse, a physicist at Brookhaven National Lab on eastern Long Island. "But if you have a big problem, you find good people who can fix the problem. That's physics." The electromagnet, which weighs at least 15 tons, was the largest in the world when it was built by scientists at Brookhaven in the 1990s, Morse said. 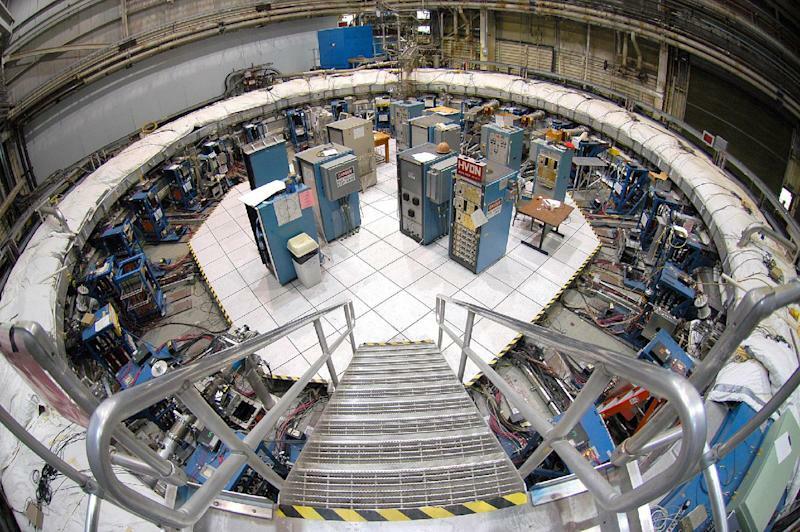 Brookhaven scientists no longer have a need for the electromagnet, so it is being moved to the Fermi laboratory, where it will be used in a new experiment called Muon g-2. The experiment will study the properties of muons, subatomic particles that live only 2.2 millionths of a second. The results of the experiment could create new discoveries in the realm of particle physics, said Chris Polly, manager of the Muon g-2 project at Fermilab. The move is expected to cost about $3 million, but Polly estimated that constructing an entirely new electromagnet needed for the Muon g-2 experiment could cost as much as $30 million. He noted the magnetic ring is constructed of aluminum and steel, with superconducting coils inside. It cannot be taken apart or twisted more than about 1/8th of an inch without irreparably damaging the coils, Polly said. A specially designed truck and barge will be used to transport the secured magnet from Long Island to Illinois. Scientists will begin the move next Saturday, taking the magnet from its location on the 5,300-acre Brookhaven campus to the front gate — a distance of about 1.8 miles. The following day, they are expected to move the magnet south along the William Floyd Parkway for 6 miles to Smith Point Park on the Atlantic Ocean. From there, it will be loaded onto a barge and will proceed down the East Coast, around the tip of Florida and up the Mississippi, Illinois and Des Plaines rivers. 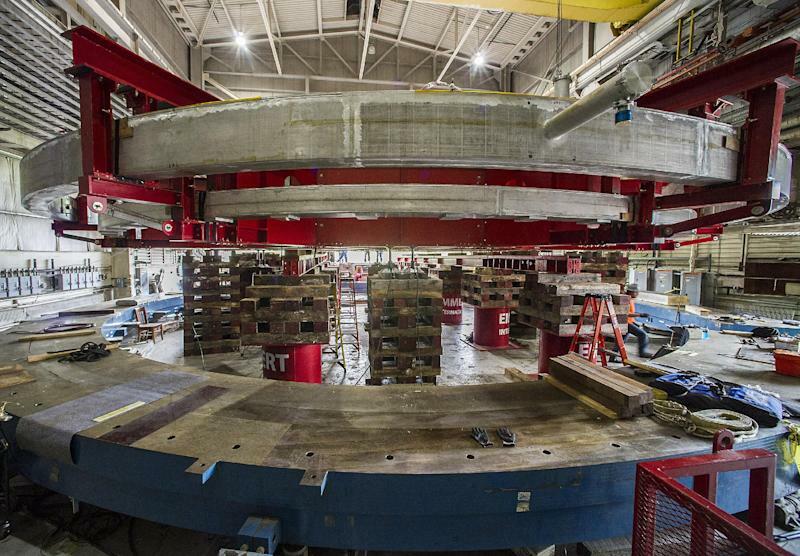 In late July, the magnet will be placed back on a truck, where a two-day trip to the Fermilab will complete the journey. Polly said scientists are coordinating with law enforcement on "rolling roadblocks" for the magnet's overland journey. The magnet will remain inert, exhibiting no magnetic properties, until it is plugged in at Fermilab. "We're excited to get this move underway," Polly said. "It's not often our neighbors get a ringside seat for something this complex and interesting."